Our reseller network offers customers around Australia a local access point for products in the Altronics range. 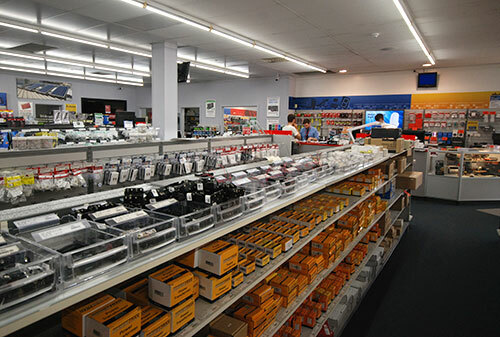 If you run an electronics related storefront we offer competitive wholesale rates for approved resellers on every product in our range, allowing you to make good retail margins. We are always on the look out for city and rural and online resellers in Australia, New Zealand and the Pacific Islands. If you are interested in becoming an Altronics reseller, you will first need to meet the minimum spending requirements for a wholesale account, typically $300 per month. Once approved for wholesale, you can ask to be listed as an official Altronics reseller. This means you business name and contact number will be listed on the "Where to Buy" section of our website, and it will be printed in the monthly Silicon Chip magazine advertisements. We do not place any contractual restrictions on our resellers to purchase our products, however some suppliers do. If you have previously signed a dealer contract with a supplier, please check that any obligations you have made do not conflict with us listing your company as an Altronics dealer. As a reseller we will also offer you special pricing on advertised products. To access this pricing you will need to be an approved reseller with an online profile for use on this site. Once this is set up, you will find any advertised items for a given month will be available to you for ordering online at a discounted rate. You may also purchase at this rate for phone or fax orders. If you have storefront advertising space such as windows or pelmet space, we are happy to provide Altronics logos and branding artworks for your store. Please contact your sales representative to discuss your requirements and any contribution we can make towards signage. As each situation is different, we do not commit to an overall signage budget or requirement for resellers.